A whole chicken allows you to feed many people. 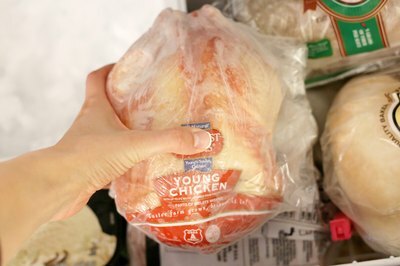 Whole chickens are typically found frozen at supermarkets, and you need to thaw them completely so that you can cook them to a safe internal temperature of 165 degrees Fahrenheit. If you are pressed for time, you will not be able to thaw the whole chicken in the refrigerator. You can quickly thaw a whole chicken in cold water or in the microwave, then proceed to cook the chicken the way you prefer. 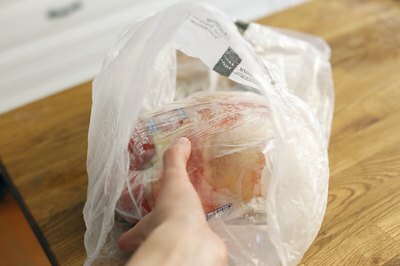 Place the whole frozen chicken in an airtight bag. Fill a sink full of cold water. Never use hot water to thaw the chicken. You will need enough to cover the chicken completely. Place the chicken in the sink. 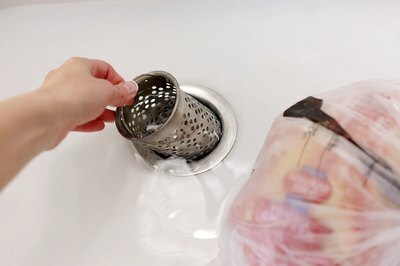 Change the water every 30 minutes until the chicken thaws completely. Thawing time using this method is about 1 hour per pound. Remove the whole chicken from its package. Place the whole chicken on a microwaveable dish. 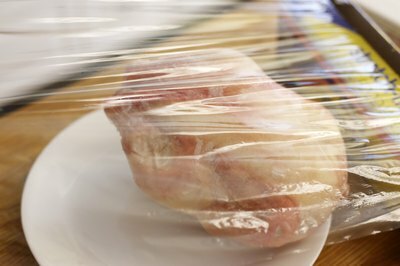 Place plastic wrap loosely over the whole chicken. Move the defrost setting on the microwave to medium-low. Check your user's guide, as some models will allow you to enter the weight of the chicken. Press the defrost button. 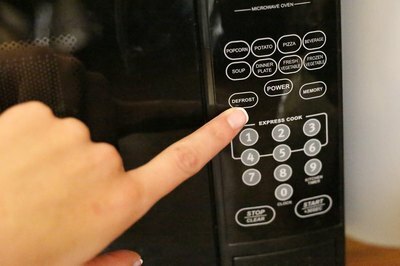 Follow any directions that your microwave gives you. Defrost the whole chicken for 2 minutes. Check on the chicken frequently to feel for ice crystals inside the cavity. Continue to defrost the chicken in 2-minute intervals. The defrosting time will vary according to the size of the chicken and the power of your microwave. Remove the giblets from the chicken’s cavity once you thaw it. Do not thaw a whole chicken at room temperature. Cook a chicken immediately after you defrost it to prevent the growth of bacteria.